Illustrator Ricardo Cavolo is a Spanish artist based in Barcelona. 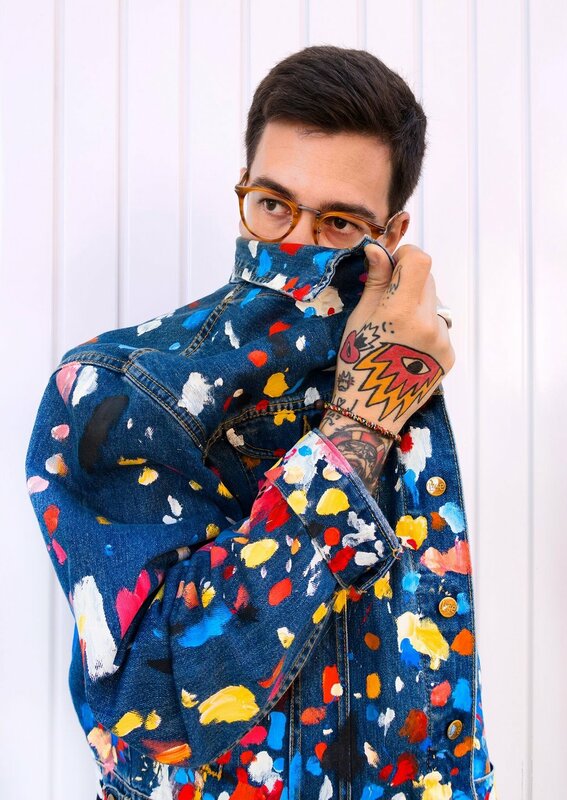 His eclectic international style is based on relationships with folk art, traditional and modern tattoo culture, European religious imagery and the tribal arts. Ranging from paper to murals, Cavolo's pieces are always created using a strong and vibrant colour palette. His portfolio features public murals and art exhibitions across the globe from Paris to Moscow and Mexico City to Hong Kong. Cavolo, both an artist and storyteller, utilizes art as a complex narrative to depict characters and their experiences across time. With a main focus on portraiture, these depictions propel protagonists to champion their unique tales. Referencing religious and historical fiction illustrations, his use of symmetry and symbolism connect to a modern and playful audience. Notably Cavolo's body of work includes illustrations, publications, fashion collaborations and a wide variety of commissioned works.